Wayne Downey, the famed brass arranger of the Blue Devils (check out "Space Music" to get a quick idea about what his arrangements can sound like), has arranged for that corps for a staggering run of 30 years. ^"To drum corps fans, Wayne Downey is all you need to know about brass lines. He's done it all. He's continually reinventing himself," said DCI.org columnist Mike Boo. "His arrangements are always exciting and get people talking. His horn lines are impeccable in their execution, mesmerizing in their nuance and chilling in their excitement. "Year after year, Wayne Downey comes through. There is a Blue Devils' sound that defines what drum corps brass playing can and should be," Boo said. Downey has also arranged for the Magic of Orlando as well as Bands of America grand national champion Lassiter High School. He was also the program coordinator and arranger for the Soka Renaissance Vanguard drum corps of Japan, arranger for the Syracuse Brigadiers, and arranger for the Riverside Community College Marching Band, among many numerous other projects. First and foremost, Downey wanted to thank the fans of the Blue Devils. "I want to thank all of our fans for their wonderful support this year. It was an incredible feeling for our young performers to feel the genuine reaction from the audiences each night. A special thank-you to all of you die-hards who stayed for the victory performance the night of finals ... you may have witnessed the Blue Devils' most heartfelt performance of the year, I called it 'Totally Unleashed Blue Devils,'" Downey said. Downey got hooked on drum corps early on. "I've been a drum corps fanatic ever since I heard the old World Open Championship recordings of the '60s and wanted to arrange ever since." Amazingly, he's never aspired to do anything but arrange brass. DCI.org:Do/did you play an instrument? Downey:I graduated with a degree in trumpet performance from San Jose State University, but haven't played in about 10 years. DCI.org:How did you get your start brass arranging? 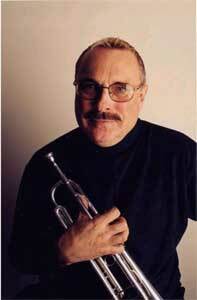 Downey:My first arranging job was for a small corps on Long Island, N.Y. We had seven horns. DCI.org:Did you approach the Blue Devils, or did you approach them? Downey:Jerry Seawright (founder of the Blue Devils) called me in October of 1973 and asked if I might be interested in teaching the Blue Devils. DCI.org:Do you have any anecdotes about how you got started? Downey:After I graduated from high school in New York, my father relocated the family to California. Amazingly enough, he bought a home two blocks from Gail Royer, who at that time was the director of the Santa Clara Vanguard. Naturally, being the drum corps fanatic I was, I joined the Vanguard the day after I arrived in the state of California. At that time I had already been in various drum corps for over eight years. Gail allowed me to arrange various warm up chorales and exercises as well as a few pieces to be performed at the cultural concerts we did every spring for the city of Santa Clara. Along with my membership in the Vanguard, I accepted arranging gigs with two of the smaller drum corps in California, which gave me a small but needed financial base. Gail would spend time with me commenting on my arranging and my writing career just took off from there. My degree was in education and performance so I never really studied composition while in school. DCI.org: How do you start the process of arranging? Downey: Finding a piece of music that intrigues you and that you really love. DCI.org: Mention what instruments and software (if any) that you use. Downey: For years I've been using Composer's Mosaic by Mark of the Unicorn but since MOTU has stopped supporting Mac users, I've recently switched to Sibelius 2. DCI.org: How closely do you work with the percussion arranger? Downey: Very closely, it's a combined creative effort. DCI.org: How closely do you work with the other members of the Blue Devils creative team? Downey: We're in contact constantly to make sure that the creative intent is heard as well as seen. DCI.org: What other brass arrangers do you admire? Downey: Jay Bocook, Jim Prime, Rich Saucedo, Jay Dawson to name a few. DCI.org: What advice would you give to young people who aspire to be arrangers? Downey: Play piano as well as the instrument you love. The electronic age is upon us, learn as much as you can about the equipment available to us to augment your arranging abilities. DCI.org: How do you keep yourself musically current? Downey: Radio, TV, musical theater, nightclubs, Tower Records, Virgin Megastore -- basically, I buy bazillions of CD's each year. DCI.org: You still go on the road with the Blue Devils, right? Downey: I traveled with the Blue Devils for six out of the seven weeks on tour this year. DCI.org: Do you have any favorite road anecdotes? Downey: Only one. One night while Mike Moxley was the corps director, I was put in the charge of the entire convoy going down the road to our next competition. Mike had left tour and was flying to our next destination. The next thing I remember was that I was awoken from a deep sleep and one of the bus drivers yelled "The food truck is on fire!" At first I though I was dreaming but unfortunately as I gradually awoke I realize that this was in fact real. The food truck and unfortunately all the percussion equipment and some of the uniforms, which were packed on the food truck for that trip, were going up in flames. So as you can imagine, my administrative duties with the Blue Devils quickly ended. DCI.org: What has been your favorite corps performance ever? Downey: Until the Blue Devils' performance this year at finals, I'd have to say the Blue Devil performance at finals in 1997 and 1999. DCI.org: What other projects have you recently been working on? Downey: I'm really excited about my new "State of the Art" product line from Dynasty USA. The products included are my "Signature Model" trumpet, mouthpieces, valve oil and slide grease called "Silk" and the new "Pro-Line" tune-any-note series of marching brass instruments. Last year in cooperation with Dynasty USA and the Blue Devils, myself and my brass staff developed an educational DVD on brass technique. The DVD covers all of the techniques we use to develop that awesome Blue Devil sound, as well as rehearsal footage, 5.1 surround sound recordings of the Blue Devils from 2000, 2001 and 2002, and a detailed exercise portion featuring the Blue Devil brass section with my staff and myself teaching our approach to brass technique. What's really cool is that you can download .pdf files with all the exercises as well as all the chord progressions we've used for years with the Blue Devils. DCI.org: Describe what you think a Blue Devils' show will sound like in 2015. Downey: Yikes, we haven't even planned 2004 yet!